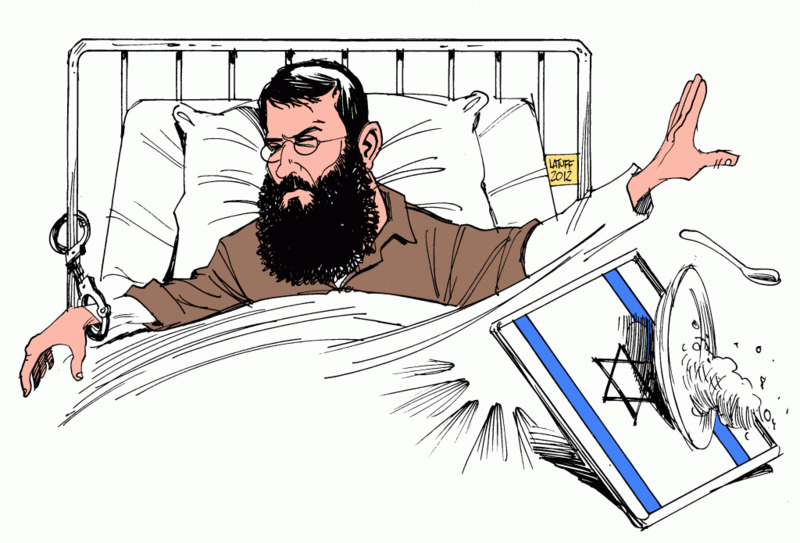 On April 16th 700 Palestinian prisoners began a hunger strike. Israel reacted in the way that you would expect a State of Terror to react. It declared that the hunger strike, a weapon of last resort used by prisoners the world over to fight against their jailers, was an act of ‘terrorism’. This comes from a State which butchered 2,200 Palestinians in Gaza two years ago when the latest F-I5 airplanes unleashed high explosive missiles at schools, clinics, hospitals and above all peoples’ homes. But ‘terrorism’ in the world of Trump and May is never perpetrated by states unless those states have fallen out of favour with the West. The actions of Israel and the United States, however horrific are ‘peace making’, proportionate and designed to quell terror. The bombing of civilians is an accident, collateral damage to use the jargon. 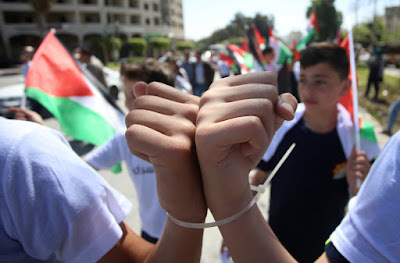 Palestinian prisoners are incarcerated for most of their natural lives in horrific conditions, denied access to contact with the outside world, mobile phones or the most minimal conditions that a civilised society accords to those incarcerated. Their only crime has been the international law recognised right of opposition to a military regime. Most Palestinian prisoners were convicted in Military Courts that have a conviction rate of 99.7%. 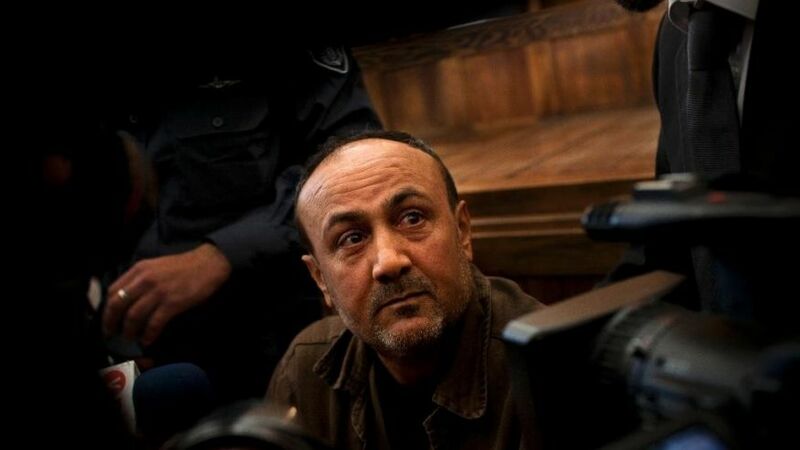 The leader Marwan Barghouti was convicted in an Israeli court which he refused to recognise. Israel is a colonial power and it metes out colonial justice. Barghouti is accused of killing Israeli soldiers. Even were this is true then that is not a crime. Resistance to an occupying power is never a crime. 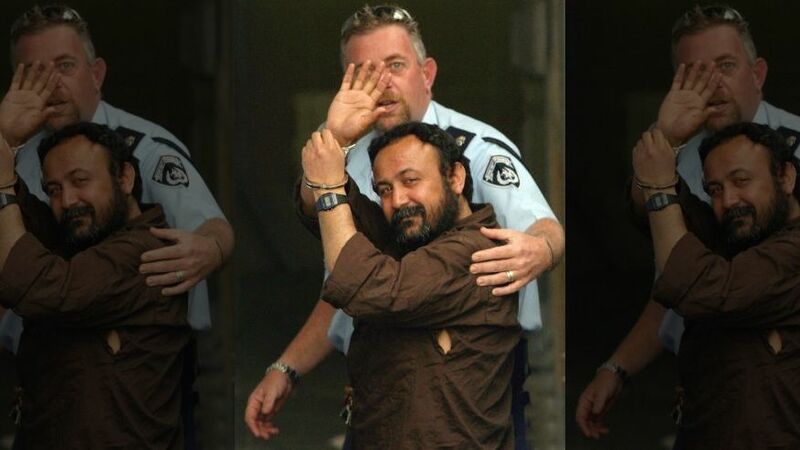 The treatment of Barghouti contrasts with that of Israeli soldiers who kill. On the rare occasion that they are convicted, then like Elor Azaria, who was recently convicted of manslaughter, not murder, for shooting a prone Palestinian prisoner in the head at short range, he received 18 months imprisonment, most of which he will never serve. Israel's accusation that Marwan Barghouti is a 'terrorist' should carry as much weight as Apartheid South Africa's accusation that Nelson Mandela was a terrorist. It is the accusation that was levelled by Britain against all Africa's colonial leaders, from Nkrumah to Kenyatta. European colonial powers who were bathed in blood always characterised their opponents as 'terrorists'. The Nazis too described armed opposition from the Serbs, Greeks and others as coming from terrorism so Israel's charges should carry just about as much weight as their Nazi predecessors. Below are 3 articles including one in the New York Times by Marwan Barghouti. Needless to say Israel’s defenders in the United States screamed about the fact that he was able to present the prisoners views. So the NYT added at the end a short postscript about the fact that Marwan had been convicted of 5 counts of murder and belonging to a ‘terrorist organisation’. Suffice to say that belonging to the main terrorist organisation in Israel, the Israeli Army, is not a crime. 700 Palestinian prisoners currently held in Israel announced the start of a indefinite hunger strike in prisons on Sunday, according to a statement released by Israel's Prison Service. Imprisoned Fatah official Marwan Barghouti spearheaded the campaign, though Hamas and Islamic Jihad prisoners held at Hadarim prison will join the campaign largely associated with Fatah. 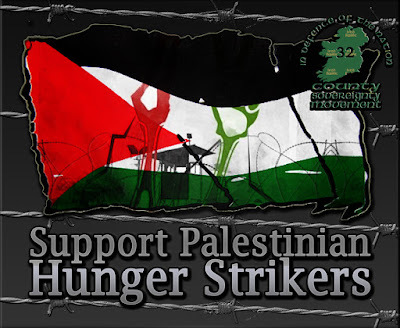 The hunger strike is expected to expand Monday morning, with over 2,000 prisoners participating. Palestinian Prime Minister Rami Hamdallah announced his support of the strike, as did leaders of Hamas in the Gaza Strip. Qadura Fares, director of the Palestinian Prisoners Club and an ally of Barghouti, told Haaretz that the Prisoners Club, the prisoners and their families will work to bring the prisoners' cause to the forefront over the next few days. According to Fares, Israel could have prevented the hunger strike had it entered into real negotiations with the prisoners and not ignored the situation. Nearly 2,900 Palestinian prisoners jailed in Israel and affiliated with Fatah have threatened to launch a hunger strike over the past several weeks. Barghouti, the campaign's organizer, has often been floated as a possible successor to Palestinian President Mahmoud Abbas. The fate of more than 5,000 Palestinian prisoners in Israel, whose number has grown considerably in the past 18 months due to the wave of stabbing and car-ramming attacks (the “lone-wolf intifada”), affects nearly every family in the territories. A hunger strike, if it is widely observed and well managed, could immediately turn up the heat in the Israeli-Palestinian arena. If down the road a threat to the strikers’ lives develops, it could lead to another wave of violence. The April 17 date was originally chosen with an eye on the start of Ramadan, which is toward the end of May. A full hunger strike during Ramadan, when Palestinians fast by day and break their fasts at night, could be religiously problematic. Setting a potential strike period of a little over a month will allow the struggle against Israel to escalate, but also limits it in time so as to prevent a total loss of control. It also marks the annual Palestinian prisoners day anniversary. According to the Israel Prison Service regulations, it is an offense for a prisoner to refuse his or her meal and the striking prisoners will be subect to disciplniary measures accordingly. "Prisoners who decide to [hunger] strike will face serious consequences," the Prison Service said in a statement. "Strikes and protests are illegal activities and will face unwavering penalization." The statement added that "In accordance with the policy set by the minister of public security, the Prison Service does not negotiate with the prisoners." The prisoners drafted a list of demands approximately two weeks ago, which includes the revoking of detention without trial and solitary confinement. 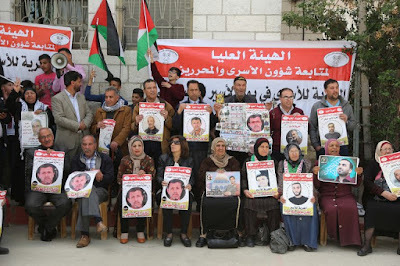 The hunger strikers also demand the reinstatement of a number of rights that had been revoked, in addition to demanding the installation of a pay phone in each wing, more frequent family visits and the possibility of being photographed with family members during visits. Last year, about 260 Hamas prisoners went on hunger strike for two days in response to the Prison Service dispersing the wings in which they were imprisoned, while 40 Prisoners of the Palestinian Front for the Liberation of Palestine (PFLP) went on hunger strike in solidarity with the administrative detainee Bilal Kaed, who had been in captivity for 70 days. Is Marwan Barghouti The Palestinian Nelson Mandela? In the April 16 New York Times, Marwan Barghouti announced that he and 1,000 other Palestinian prisoners were launching a hunger strike. It’s easy to understand why. Oren’s implication is clear: Because Barghouti was convicted of terrorism, his cause is illegitimate, even monstrous. The problem with this argument is that it doesn’t only explain why Marwan Barghouti isn’t Nelson Mandela. It explains why Nelson Mandela isn’t Nelson Mandela either. Barghouti’s shift, which led him to play an active role in the second intifada, constituted a tragic mistake, even a crime, against both Palestinians and Israelis. I’m not justifying it. But he’s not the only national leader to have embraced armed struggle after losing faith in non-violence. Mandela did too. For a half-century following its birth in 1912, the African National Congress practiced peaceful resistance to white rule. That resistance culminated in 1952 in a “defiance campaign” — partly inspired by Gandhi — consisting of mass protests, boycotts and strikes. When South Africa’s newly elected government responded with even harsher apartheid laws, however, Mandela demanded a different strategy. As detailed in the book, “The Road to Democracy in South Africa”, Mandela began advocating armed resistance in 1953, and was reprimanded by ANC leaders. But when South African police murdered 69 protesters in the township of Sharpeville in 1960, and its government declared the ANC illegal, Mandela began pressing his case more aggressively. He met substantial internal resistance, especially from longtime ANC leader Albert Luthuli, who found it awkward that the ANC was considering violence when he had just won the Nobel Peace Prize. Still, Mandela, backed by other young militants, won the day. One can imagine how Oren might describe Mandela’s actions today. Mandela did not merely support violence. In 1961 he became the head of the ANC’s new military wing, and began receiving funds from the Soviet Union. At the famed 1963 Rivonia trial, he was convicted of “recruiting persons for training in the preparation and use of explosives and in guerrilla warfare for the purpose of violent revolution and committing acts of sabotage,” as well as of supporting communism. Was Mandela a terrorist? The U.S. government thought so. As late as the 1980s, it still classified the ANC as a terrorist group. A critic might object that the circumstances under which Mandela and Barghouti turned to violence were different. Mandela argued for it in the early 1960s, after the South African government declared the ANC illegal. Barghouti advocated it in the early 2000s, after Israel had accepted the PLO as a legitimate negotiating partner. A year later, the ANC detonated a bomb that killed three, and injured 69, at a bar in Durban. It did not suspend its armed struggle until after Mandela was released unconditionally from jail. Israel isn’t the equivalent of apartheid South Africa. Inside the green line, where Palestinians enjoy Israeli citizenship and the right to vote, it certainly is not. Nor am I claiming that Barghouti is Mandela’s equal. After leaving prison, Mandela brilliantly stewarded South Africa toward reconciliation. Barghouti, by contrast, remains an enigma. He has long supported the two-state solution. But who knows what he would do as a free man? My argument isn’t really about Barghouti at all. It’s that acts of violence, even horrific violence, don’t necessarily invalidate the cause of the people who commit them. America firebombed Dresden and dropped nuclear weapons on Hiroshima and Nagasaki; World War II was still a just war. In 1938, Irgun leader David Raziel detonated bombs in Haifa’s Arab Market, killing 21 people. His crimes didn’t invalidate the struggle for a Jewish state. (Oren’s government certainly doesn’t think so; Raziel’s face adorns an Israeli postage stamp). Palestinians deserve to be citizens, not subjects. And against an Israeli government that rejects a Palestinian state near the 1967 lines, and every day entrenches its brutal and undemocratic control of the West Bank, Barghouti and his colleagues have the right to resist. I’m glad that they’ve chosen a hunger strike, which inflicts violence only upon themselves. I hope they never take up arms again. But to the extent that they still desire what Barghouti demanded the year he was convicted — “the end of the occupation” and “peaceful coexistence” between Palestinians and Jews — their cause is just. Do you hear that, Michael Oren? He’s talking to you. Peter Beinart is a Forward senior columnist and contributing editor. Listen to his podcast, Fault Lines with Daniel Gordis here or on iTunes. Israel has tried to brand us all as terrorists to legitimize its violations, including mass arbitrary arrests, torture, punitive measures and severe restrictions. As part of Israel’s effort to undermine the Palestinian struggle for freedom, an Israeli court sentenced me to five life sentences and 40 years in prison in a political show trial that was denounced by international observers. Marwan Barghouti is a Palestinian leader and parliamentarian.